Many of us struggle to get enough, or comfortable enough sleep each night. Our work and family lives may not co-exist harmoniously, or our stress levels could be too high. Some people try to realign their work and life balance, reduce caffeine intake, or make other lifestyle changes. These suggestions are a great starting point, but often they fall short of fixing our sleep problems. Instead, studying our vitamin and mineral intake is another very effective way of improving our sleep, and getting over insomnia. Whether we increase our vitamin or mineral consumption through supplements or a change in diet, these adjustments can be essential in improving our sleeping habits. Read on to learn which vitamins and minerals can help you improve your sleep quality. If snoring is disrupting your sleep, anti snore devices can be a solution. Magnesium is an essential mineral for good human health, as every cell and organ need magnesium to function properly. It also ensures we have strong bones, healthy brain function, and good heart and muscle health. Magnesium is important in regulating sleep health, as the brain needs it to function effectively. Chemically, magnesium helps to activate part of the nervous system that helps make a person calm and relaxed. As you lay in bed at night, a calm and relaxed brain is very important in helping you fall asleep. Furthermore, magnesium is responsible for regulating melatonin, which is sometimes referred to as the sleep hormone, and guides our body’s sleep and wake cycles. Finally, Magnesium binds to the gamma-aminobutyric acid or GABA receptors. GABA receptors help the nervous system to relax and slow down at night, to allow the body to sleep. This binding is the same process that many sleep medications such as Ambien are designed to stimulate. Magnesium is present in many everyday foods such as green vegetables, bread and cereals, meat, fish, and nuts. A few healthy foods to consider are spinach, tofu, quinoa, cashews, and almonds, or if you have a nut allergy, try whole wheat, or black beans. Alternatively, taking a magnesium supplement might be an option for you, but consider the following: The upper limit for supplemental magnesium is 350 mg per day, and magnesium supplements can interfere with blood pressure medication, muscle relaxants, and antibiotics. If you are considering taking magnesium supplements and you have a medical condition, or take medication you must consult a doctor before taking supplemental magnesium. Iron deficiency is extremely common across most world populations, especially in the western world. Iron deficiency can cause restless leg syndrome, which causes people to want to constantly move their legs around when they go to bed. This can affect the quality of sleep, as you are unable to relax enough to fall asleep. Scientists have found that iron deficiency in women tends to affect sleep quality more commonly. Foods rich in iron include red meats, animal liver, beans, grains, and dark green leafy vegetables. It is also possible to take iron supplements, but like other mineral supplements, it is advisable to speak to your doctor about taking them first, especially if you take other medicines or have a medical condition. B vitamins are some of the best-studied vitamins in sleep science and the treatment of insomnia. Scientists have been able to pinpoint which B vitamins are most effective in improving sleep. Like magnesium, thiamine helps in the production of GABA amino acids. It can stimulate the production of these amino acids to help in improving the quality of sleep. It is very important to note that having too much Thiamine in your body can cause insomnia, so people should not over supplement vitamin B1. Thiamine is found in many foods but most commonly occurs in pork, eggs, brown rice, sunflower seeds, asparagus, and kale. If you are thinking about supplementing Thiamine in your diet, you should consider a multi B vitamin supplement, which will give you a safe dose of B1. Scientists are largely unclear how Niacin improves sleep exactly, but studies have shown that increased niacin can help in treating depression, anxiety, and insomnia. As these three conditions affect sleep quality, small doses of Niacin may improve sleep quality for some people. Niacin is found in animal liver, kidney, and heart, beef, fish, nuts, eggs, green leafy vegetables, asparagus, and some whole wheat. It is also found in some other fruits and vegetables. The best way to supplement niacin is by taking a multi B vitamin or complex B vitamin supplement. Pyridoxine is essential in the production of serotonin, dopamine, GABA, epinephrine, and norepinephrine. As most of these brain chemicals regulate sleep function, Pyridoxine is important in improving sleep quality. Fish like salmon and tuna are the foods highest in vitamin B6, but it is also found in shellfish, nuts, milk, cheese, and whole grains. Multi B vitamin supplements are also a good way to increase B6. Folic acid can cause sleep problems due to the way that it works with vitamin B12 and the mineral iron. A folic acid deficiency can in effect cause iron deficiency or other conditions associated with sleep deprivation including depression, anxiety, headaches, or nerve damage. The psychological impacts of folic acid deficiency can also lead to insomnia. Foods rich in folic acid include egg yolk, green leafy vegetables, nuts and other legumes, and animal liver and kidneys. A complex B vitamin supplement works best when supplementing B9 due to its close link to vitamin B12. Scientists have discovered that Cobalamin assists in the regulation of the body’s circadian rhythms. This regulates sleep patterns and controls when the body is required to sleep. Circadian rhythms closely work with day and night cycles and help enable us to sleep at night. Vitamin B12 can be found in all meat, fish, and dairy products. As it is not a vegan-friendly vitamin, it can also be taken as part of a multi-vitamin supplement. 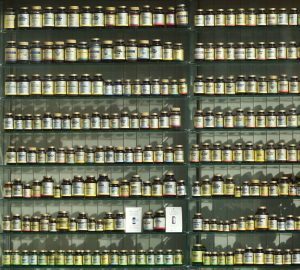 There are two kinds of B vitamin supplements: complete and complex. A complete supplement gives you the full B vitamin range, whereas a complex supplement allows the B vitamins to work together in synergy – the way the body intended. When taking a B vitamin supplement to help regulate sleep, it is important to choose a B vitamin complex supplement due to the way B vitamins work together to regulate sleep. These are just some of the most effective vitamins and minerals to help improve your sleep quality. You might find that eating certain foods before bed could give you the other vitamins or minerals you need, or talking to your dietician or nutritionist. Remember that the cause of your poor sleep could be related to something else in your life. It is also common for people to have interrupted sleep if they are unable to regulate body temperature, or if they have problems with snoring or poor breathing. Whatever your issue might be, correctly regulating your vitamin and mineral intake can only help improve your health and sleep quality and give you a better nights sleep. Does Snoring Cause Erectile Dysfunction? Why Do Sleep Psychologists Study Snoring?